Ah, 24-hour news cycle, how you long for conflict. As we headed into Labor Day weekend, the politicos in Washington became enamored with “Speech-gate” – a supposedly heated back and forth between President Barack Obama and Speaker of the House John Boehner after Obama requested to speak before a joint session of Congress on Wednesday night. The problem was that the Republican Party had already scheduled a presidential debate for that evening, and Boehner added concern that the security measures needed to welcome a president to Capitol Hill were too lengthy to be completed in a small window between the end of scheduled business and the president’s address. The next day, Obama’s press secretary, Jay Carney, announced that the president would move his speech to Thursday night. And everyone was cool with that. 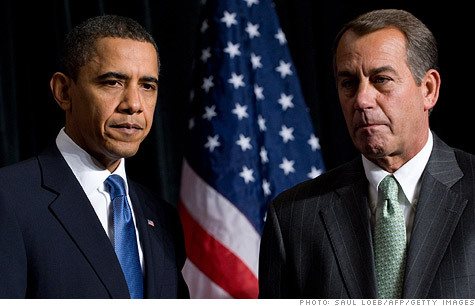 Never mind that Boehner and the Republicans have declined the now-customary official response following the president’s speech. Never mind that Obama almost immediately rescheduled the speech that was so surely intended to sabotage a GOP debate being held 15 months before the 2012 election. The narrative had to stand. Obama was weak. Boehner was pushy. The war rages on, if only on our television sets. I feel like I’m the only person on Earth who thinks this worked out pretty darn well for the president. He respected the wishes of his political adversaries, and in doing so, positioned his speech before what will be the most watched television event of the week, if not the month. Instead of playing opening act to America’s Got Talent on Wednesday, the president will be the lead-in to the kickoff of the NFL season. Instead of giving way to juggling pole dancers and ventriloquists, Obama sets the stage for the return of the most popular sport in America. Which one do you think is going to garner more incidental eyes? NBC has shuffled its pregame schedule to make room for the address, moving musical performances and other festivities to USA, Syfy, and other channels in the NBCUniversal stable. Meanwhile, the president gets to talk about jobs, and then, being the sports-fan-in-chief he is, probably conclude with some well-rehearsed line about his Chicago Bears and how we all can’t wait to see some football. The Republicans get their debate stage. The president gets a better television spot for his address than he had before. Everybody wins. Why can’t we just leave it at that?